Campania is a region I’ve always enjoyed wines from and unfortunately a region I don’t drink enough of. These are wines that should be relatively easy to access on the market. 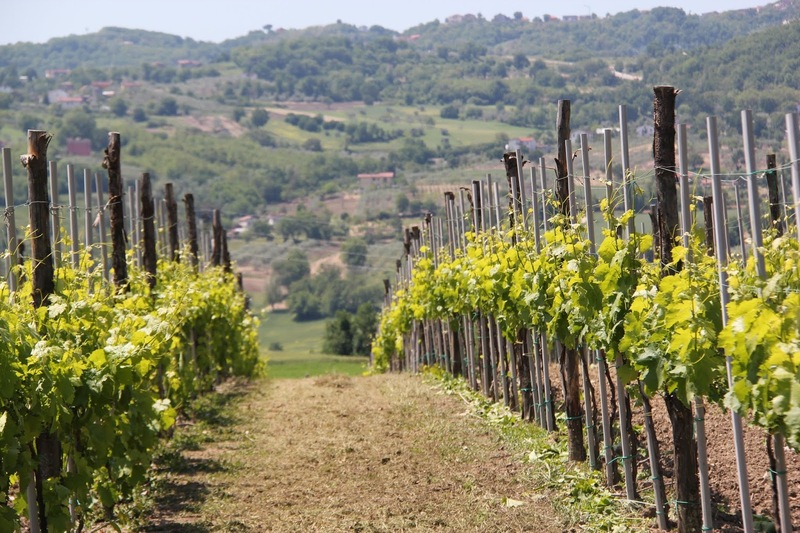 Some of the most popular wines featured from this region include Taurasi made from the aglianico grape as well as Fiano di Avellino and Greco di Tufo. You’ll probably also come across some falanghina as well. Do some of these sound foreign to you? Let’s check out a couple of them today featuring the Donnachiara winery of Montefalcione. The Donnachiara winery is located in the small town of Montefalcione, within the province of Avellino close to Naples. A place near and dear to my heart, although I haven’t visited Avellino yet. I have been to parts of Campania including Naples and the stunning Amalfi coast. As I’ve mentioned before, my father’s side of the family hails from this region. There are plenty of great wines coming out of this wonderful wine region. The vineyards of Donnachiara have been in the family for 150 years, but the winery was only established in 2005. It is a small, women owned winery owned and managed by 5th generation Ilaria Petitto and her mother Chiara. 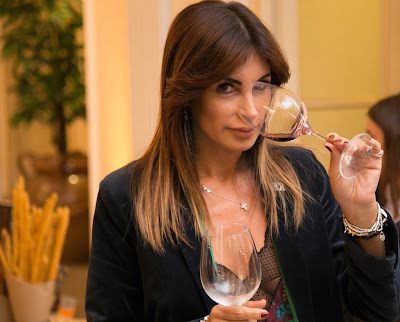 Through my research of the winery Ilaria is very active in the industry and her passion shows. I truly appreciate women that work in this business as it’s not easy. The winery was named after Ilaria’s great-grandmother Chiara and for all that don’t know donna means woman. Chiara saw the estate through two world wars, on her own as her husband, Antonio Petitto whom was Colonel doctor in the Italian Red Cross, was off to war. 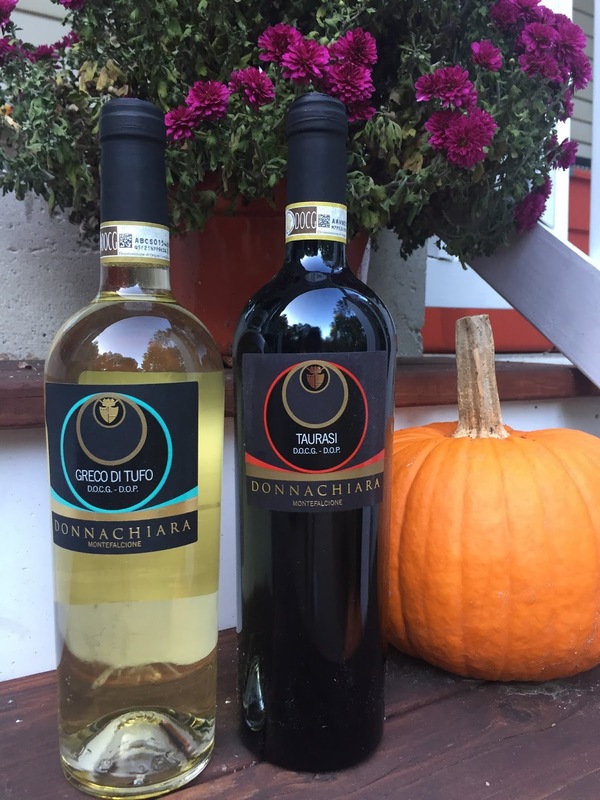 Donnachiara only works with autochtonous grapes, native grape varietals. For white grapes they produce greco di tufo, coda di volpe, falanghina and fiano di avellino. All their red wines are produced from the aglianico grape in different styles including aglianico campania, Irpina Aglianico DOC, Taurasi and Taurasi riserva. The wines featured today feature the greco and aglianico grapes, both DOCG designations in Campania. Greco di Tufo gained its status in 2003 where wines must be produced with a minimum of 85% greco di tufo with an allowance of up to 15% of coda di volpe allowed. Greco di Tufo is a respected white wine found in the Avellino province and is named after the town of Tufo, but also the type of rock in which it is grown produced from volcanic ash. These wines are best suited to be produced in the volcanic hills of Avellino. Aglianico is one of my favorites and is found in both Campania and the nearby region of Basilicata. For those of you that enjoy those full bodied, rustic wines, aglianico is for you. It’s a wine full of body and character with high acidity and tannins. It’s definitely a wine that can be aged for many years. Taurasi is a wine that must be produced of at least 85% aglianico. With the high tannins in these wines they do need some time to open up so if you’re looking for immediate gratification make sure to decant it. It’s a shame that this wine is overlooked and not at the forefront of the market with some of the top players as it deserves. The region of Campania is located in southern Italy bordering the Tyrrhenian Sea and touching multiple regions including Lazio, Molise, Puglia and Basilicata. Originally colonized by the ancient Greeks and part of the Magna Grecia before the Romans dominated. It was known as oenotria, the land of wine, and today is still known for the quality that is produced. Campania is mostly dominated by hills and mountains with a small percentage of plains. What’s unique about this region is the presence of volcanic matter in the soils from Mount Vesuvius and Campi Flegrei that truly gives these wines the character that they are known for. You’ll typically detect minerality and a “salty” character in the wines. *These wines were provided as samples, but opinions are my own and I was very happy to share these samplings today.